We have been using Angular version 1.x for years now, and following version 2 development with great interest. Things have come together greatly over the last few months, after having somewhat wandered prior to that. We feel like now is the time to dig into version 2. 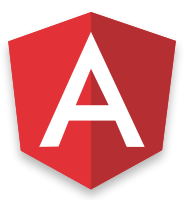 There been comments by the core Angular team also, which indicate that now is the time for developers to start previewing the new release. For companies that want to dig in deep, we are now offering a brand-new “Early Start with Angular 2” class. The first scheduled date is in November in St. Louis, the second in early December in San Francisco.